Mimsy: Ted Cruz: The anti-extremism candidate? There is a theory which states that if anyone discovers exactly how the United States primary system works it will instantly disappear and be replaced with something even more bizarre and inexplicable. In The Hitchhiker’s Guide to the Galaxy, the universe is run by a person with no sense of cause and effect and to whom words mean nothing, other than what he chooses to believe they mean. In other words, he was one of Thomas Sowell’s anointed. This is supposed to avoid drama, but of course in Douglas Adams’s telling it created drama. The Republican establishment tried to avoid drama this year by compressing the primaries so that the process would favor a more establishment candidate with money behind them—that is, someone who could afford to compete in a series of simultaneous large primary collections in quick succession. They had assistance from the media establishment, who created debate rules which favored candidates with name recognition before the primaries even started. In other words, the media establishment created rules which favored the political establishment. Their plan succeeded: they have a rich establishment Democrat running ahead in their primaries, and now that he’s finally beginning to fade it may be too late to overcome his lead, due to the accelerated primary season. This is why I support a longer primary season with few, if any, Super Tuesdays and with smaller states coming first. This would allow a candidate to both build support and be investigated in smaller venues where they can go one-on-one and where love affairs with new faces will have time to return to earth before the delegate count overrides reason. Longer periods with reasonable rules will tend to dampen down extremism, because it allows the slow and steady to succeed. And of course the Democratic primaries have their own bizarre rule by an elite, in their case a group of super-delegates who can override the choice of the Democrat base. Centralizing power is almost always a bad idea. Republicans are supposed to know this. I have my own theory about the growing extremism of political rhetoric, which may explain the ironic and inexplicable rise of rhetoric when so little actually happens in DC. The first part of this theory is that politicians of the two parties see themselves as one team, the beltway, against the voters. They talk as if they are different; but they don’t act as if they are different. Then, to prove that they really are different, they move their talk further to the extremes in the next election, so as to hide the fact that they haven’t even tried to fulfill their promises from the last election. This process repeats with more and more extreme rhetoric to make up for the less and less extreme actions. Even President Obama’s much-vaunted health insurance transformation is merely all the mistakes of the previous system wrought on a grander and, where it wasn’t already, national scale. And even Republicans are floating trial balloons about having to learn to live with it. So absent letting their actions speak for themselves, politicians have to convince the voters that this time they really mean business, and they do so by being louder than they were in the previous election. But eventually this means someone like Trump, or an actual socialist, is the only option available to prove to the voters that this time, yes, we mean business. If you turn the sound down and look just at their actions, the establishment on both sides want to move the country toward rule by an anointed elite; the only difference is the speed they want to move. Both sides want to increase government power so that more and more of our daily life is managed by the federal government; the only difference is how much more. Most politicians on both sides see no real problem with Hillary Clinton’s corruption and crime; at best they’re disdainful of the magnitude. This is why the establishment, for all that they’re embarrassed by Trump, aren’t sure they don’t prefer Trump to Ted Cruz, who, judging from his actions so far would actually reduce the establishment’s power. In that sense Trump is a compromise candidate: the establishment wants someone who won’t upset the cronyism apple cart, and the base wants someone who sounds like they mean what they’re saying. It’s why they redesigned the primary schedule and the debate rules to hinder upstart candidates like Carly Fiorina. Upstarts are more likely to want real change. Listen closely to Trump, and he really doesn’t want to change the current system much; and why should he, he helped pay for it. He even initially came out in favor of the Obamacare insurance mandate. The establishment loves choices, as long as the only choices are the ones they think are the right choices. It’s why they love exchanges, despite their continual failure just about everywhere they’re tried, from power to health insurance. The way to ramp down the rhetoric is to promise less and actually do what you promise. Unfortunately it may be too late for that. And the reason is that there’s another structural issue causing increased partisanship: the stroke-of-the-pen imperial presidency. Where partisanship didn’t previously exist, this will create it. Everywhere else, it will make it far worse. If President Obama had worked through the normal legislative process, or if Democrats and Republicans were willing to work together to reign in the presidency, today’s candidates wouldn’t be able to promise to unilaterally literally repeal almost everything Obama has done. A single point of change focuses partisanship. Having to work through the House of Representatives (two year terms), the Presidency (four year terms), and the Senate (six year terms) gives people time to look for reasonable compromises. It also forces them to solve local issues locally rather than imposing one-size-fails-all solutions at the federal level. The latter is guaranteed to cause more extreme politics. But there is no reason to look for compromises, nor to leave local decisions local, when the President holds all the power. An imperial President doesn’t need to compromise. Because of this, the candidate most likely to reduce partisanship and extremism is Ted Cruz. Because he will attempt to do what he said he’ll do, and then both sides of the political establishment, and the media establishment, will happily work together to reduce the power of a Cruz presidency. This is similar to the increased partisanship caused by bigger government. The fewer places the federal government reaches, the less people need to stake out extreme positions. When the government affects every aspect of our lives, we are going to have more extreme opinions about how the government should run our lives. The Democratic health insurance exchange looks like it’s going to make many of the same mistakes politicians made in California when they tried to choke electrical power through a power exchange. Throughout history, the people willing to split the baby have been the people who win. Can we break that thread? “Supposing we hit him by mistake?” said Piglet anxiously. 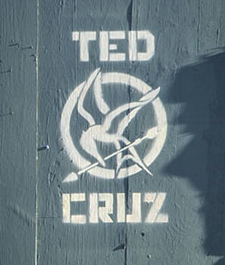 Ted Cruz: The anti-extremism candidate? last modified July 17th, 2018.